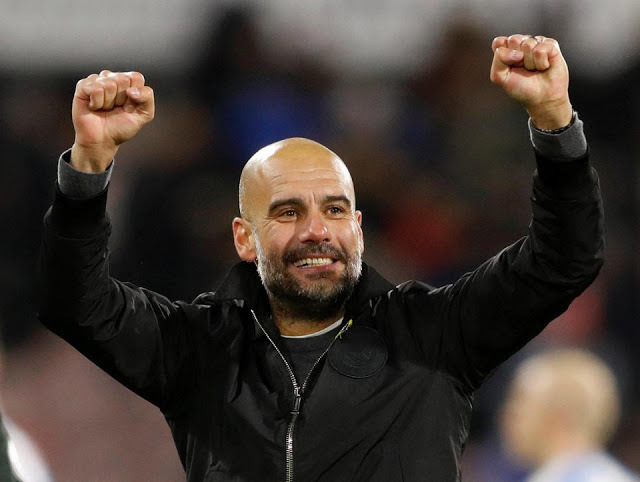 Manchester City are reportedly set to offer Pep Guardiola a new contract in the summer, after guiding the Citizens to an incredible start to the season. The Citizens have maintained an unbeaten start to the season in the Premier League and lookunstoppable as they coast to their first Premier League title in five years under the tutelage of the former Barcelona manager. Manchester City have defeated all their top six rivals in domineering fashion and are currently in the league of their own with others left to play catch up for the rest of the season. The latest was the 4-1 win at home to Tottenham Hotspur on Saturday, in which the Citizens totally outclassed thier rivals to extend their winning streak to 16 straight wins. The Dailymail understand that the City owners are ready to reward Pep Guardiola with an improved deal at the end of the season after an impressive start to the campaign, even though the former Bayern Munich boss still has 12 months left on his existing £12 million-a- year contract. It is believed the Abu Dhabi owners see Guardiola as their own Sir Alex Ferguson and are hoping to build a dynasty with the Spaniard as they hope to dominate both home and abroad for as long as possible. Although, Guardiola’s track record at his previous clubs speaks otherwise with the Spaniard spending only four years at Barcelona and three years at Bayern Munich, but the City owners believe they can persuade him to stay on a long-term. Despite failing to win a trophy last term, Guardiola’s failure seems to have pushed him to do better this season having improved his squad with players that can buy into his philosophy such as Benjamin Mendy, Kyle Walker, Bernardo Silva, Danilo and Ederson Moraes. While the Premier League leaders are coasting to the title in style, the quadruple dream is still on with the Citizens still competiting on all four fronts and if their is a coach that can win it all, the 46-year- old can, given his hunger and desire to make up for last season.